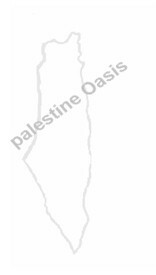 The name of Palestine is derived from the Philistines who lived there since history began. The present people of Palestine, the Palestinians, are the Arabised descendants of the Philistines, the Canaanites and other tribes who inhabited Palestine long before the Israelites first came to Palestine after their exodus from Egypt in the 12th century B.C. Professor Maxime Rodinson, of the Sorbonne in Paris and himself Jewish, stresses that "the Arab population of Palestine was native in all the senses of the word and their roots in Palestine can be traced back at least forty centuries." Thus the Palestinians' claim to their country is firmly based on long continued possession of the land, the only claim that entitles, by international law, any people to their country. Jewish claims to Palestine, based on long-extinct historical connections, would make complete chaos in our present world, if taken seriously.